Anita Jo Intenzo-Haunted Author: ANNABELLE: CREEPY CONDUIT OR HAUNTED? ANNABELLE: CREEPY CONDUIT OR HAUNTED? Last night I saw the movie Annabelle, the prequel/spin-off to last year's hugely successful supernatural horror film The Conjuring. I had seen the movie previews and was intrigued with the story after seeing the doll introduced in The Conjuring movie. 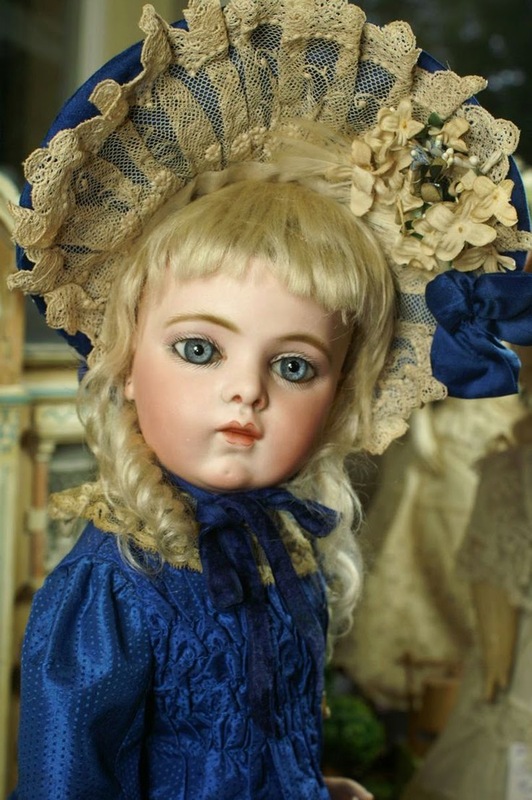 I had mentioned this unique Annabelle doll in a previous blog about haunted and possessed dolls that was one of my most popular articles with readers. For those of you that have not heard of Annabelle,she is a demonic porcelain doll, that played a terrifying supporting role in the 2013 film from director James Wan (now Annabelle's producer), and like the original this movie is another true story based on the case studies of paranormal investigators Ed and Lorraine Warren. Yes, the movie is based on a true story but the Annabelle doll in the movie is not the original Annabelle. 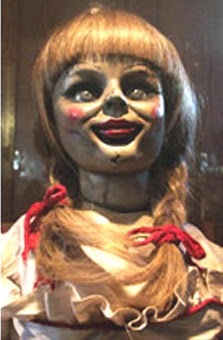 In the movie, Director James Wan has redesigned the evil possessed doll Annabelle giving her a much more disturbing appearance for the big screen. I have to say the movie was a pleasant surprise as it was very well done and kept up a level of terror and horrific surprises throughout that in one scene in the movie a lady in our audience screamed her head off! But I found the plot line unbelievable that when the main character in the movie, Mia, receives this (movie created) sinister looking doll from her husband as a gift she is so excited and happy in receiving this (hideous?) thing. Apparently it's some special long, sought after collectors doll-this is mentioned twice in the movie(yeah, just like "Chucky" was a special collectors doll) Mia has dreamed of owning for a long time. "SAY WHAT?" That was the reaction from our nervous (screamer) audience lady who voiced her opinion out loud-when Mia opened the box and saw the doll inside. We all laughed at her outburst- it was pretty funny! Pretty funny also and hard to believe to any of us watching this movie scene that was a beautiful gift because if my husband gave me something looking like the "Spawn of Satan", I'd throw him out the door along with the creepy doll and file for divorce! As a long time doll collector, as Mia obviously was, I would have been excited and overcome with joy if my husband had given me a doll like this for a gift. FYI: I wonder? Is the director setting up the audience for a prequel to this prequel to find out the true origins and maker of this Annabelle doll? Especially if this movie becomes a huge hit -where can he now go with this story line? And is there such a thing as a prequel + prequel= Freakquel? If that were the case, the director would be leading everyone down a truly fictional account path and can no longer say his future movie it's based on a true story. The original Annabelle is a Raggedy Ann doll (her makers The Knickerbocker Toy Company no longer exists) But if you saw The Conjuring movie, the last scene leaves you wondering? 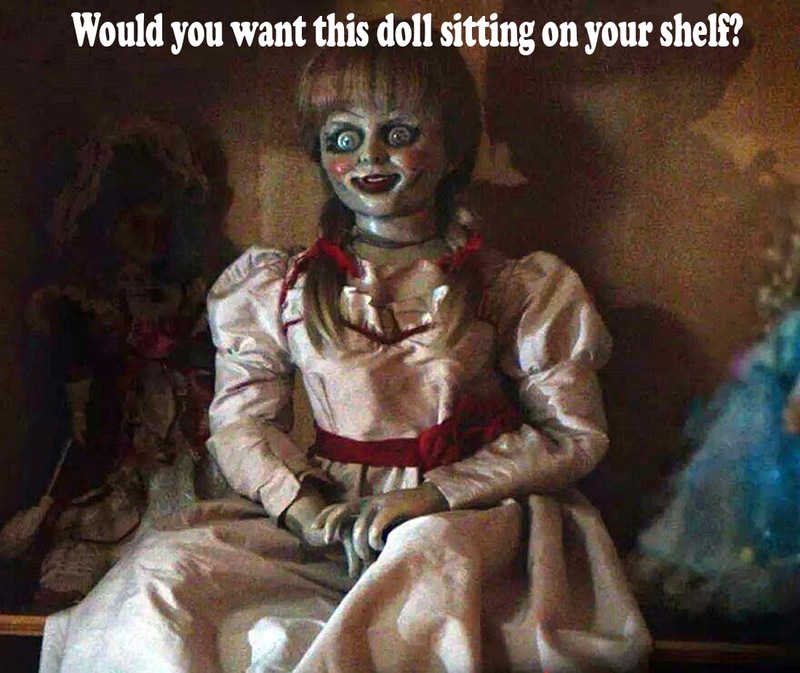 Getting back to the doll Annabelle, the movie explains that although Annabelle seems to be in the thick and cause of some horrific activity, you learn that she is not really possessed or haunted by a ghost but actually a conduit to demonic attachment. 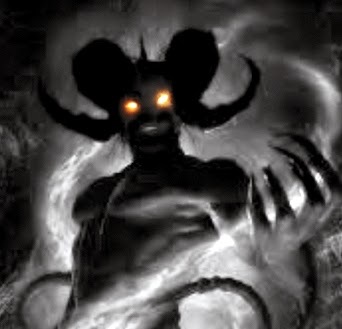 Without her there is no forwarding the demon's agenda to do his evil deeds. To add to the chilling plot line, I read where director John R. Leonetti (cinematographer of The Conjuring) confirmed that at least two supernatural occurrences happened on the set of the movie. Peter Safran,producer of Annabelle and The Conjuring, confirmed the haunted incidents and offered up the second incident Leonetti hinted at, that was "much worse." "We shot in this amazing, old apartment building near Korea-town and we had some funky stuff go down," Safran said. "In particular, the first day that the demon was shooting in full makeup, we brought the demon up in the elevator. He walks out and walks around to the green room to where we’re holding the talent, and just as he walks under — a giant glass light fixture all of a sudden falls down on his head of the actor playing the handyman of the building,( the janitor‘s head). And in the script the demon kills the janitor in that hallway. It was totally freaky." Spoiler Alert: This scene was cut out from the movie. 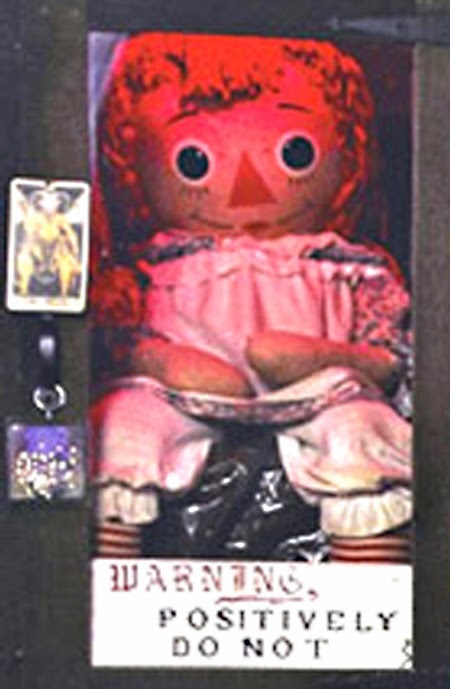 Perhaps the goosebumps really start to set in knowing that the real-life Annabelle doll is a large Raggedy Anne doll still intact to this day, sitting behind a glass case in the Warren‘s Occult Museum in Monroe, Connecticut. It has since been exorcised and gets blessed by a priest twice a month. "SAY WHAT?!" Thank you for the link and I will check it out.